After Substrate Beta was released, it became possible to get your hands dirty and build something that actually works. Many teams and projects see the potential of the Substrate framework, which allows one to quickly create application-specific Blockchains (dAppchains). We were wondering what the other teams are building with the substrate framework and the ways they contribute to the substrate community. We figured it can be an interesting read for others, so here you are. In addition to the actual ecosystem projects, there are already many substrate blockchain projects (dAppchains) that develop dependent and independent networks. 0x is an important infrastructure for the emerging crypto economy and enables markets to be created that couldn’t have existed before. As more assets become tokenized, public blockchains provide the opportunity to establish a new financial stack that is more efficient, transparent, and equitable than any system in the past. They implement the 0x protocol using Substrate. AdEx originated in 2017 as a decentralized ad exchange for digital advertising and subsequently evolved into a full protocol for decentralized digital advertising. The AdEx protocol facilitates the trading of advertising space/time, as well as the subsequent verification and proof that it actually occurred. Building a short module that implements the AdEx OUTPACE payment channels. Akropolis is building a financial protocol dedicated to the needs of the multi-billion-dollar global informal economy. Their mission is to give people the tools to save, grow and provide for the future safety and without dependence on geography, a central counterparty, or falling prey to predatorial financial practices of multiple intermediaries. Global informal economy infrastructure with Polkadot Substrate. Asure.Network provides a scalable blockchain network for decentralized social security. The network lays the foundation for 10 billion people to have access to social security systems and achieve a great social impact where it is needed the most. 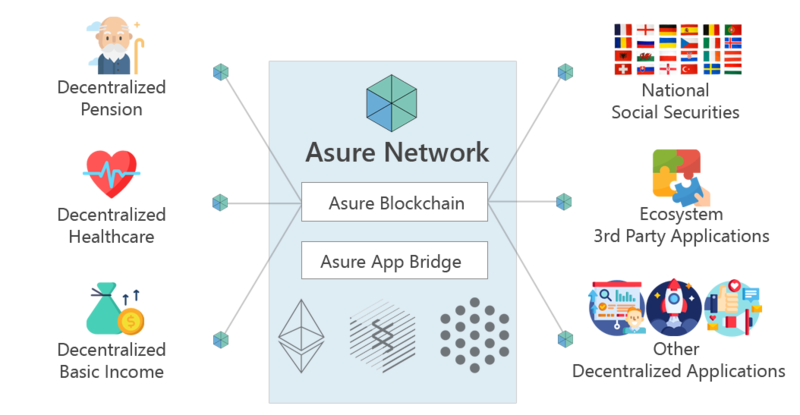 AsureNetwork develops a scalable network for social security use-cases. Blink is a company developing novel Distributed Ledger Technologies (DLT). Their consensus protocol is to become a scalable alternative to the blockchain. Current development progress suggests a main net launch in the first quarter of 2019. They develop a scalable alternative to the blockchain technology. 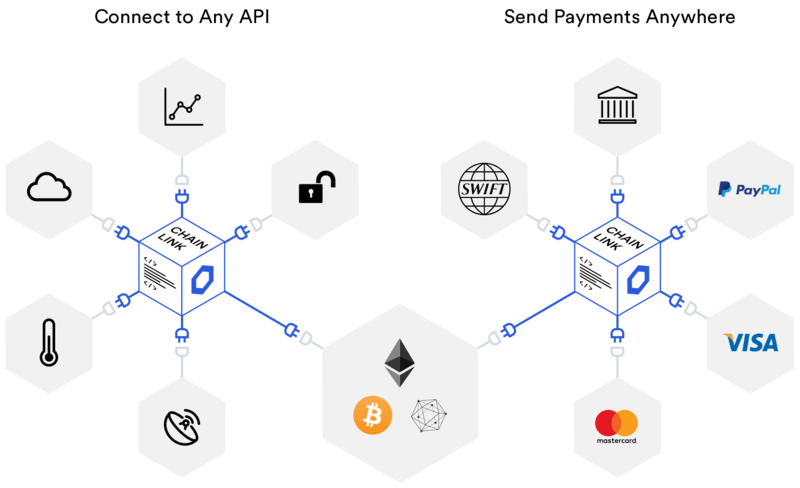 Chainlink is a decentralized oracle network that enables smart contracts to securely access off-chain data feeds, web APIs, and traditional bank payments. The Chainlink network provides reliable tamper-proof inputs and outputs for complex smart contracts on any blockchain. They implement their decentralized oracle network with the help of Web3 tools. ChainX is an inter-chain crypto-asset financial blockchain that will become a Polkadot parachain when the platform launches Q3 2019. Fully Decentralized cross-chain crypto asset management on Polkadot. What they do with Substrate: Developing a cryptocurrency bridge (Bitcoin, Bitcoin Cash, zCash, Cordano, Ethereum). Clovyr brings the flexibility and ease of use of modern application development to the blockchain domain, for the first time offering a unified way to create, deploy, manage, and extend applications whether they are destined for the public Ethereum network or a private consortium ledger. More than just a development framework, Clovyr is an ecosystem of applications and services — almost all open source — that empowers teams of all sizes to experiment and iterate more quickly, bring products to market that will run in a cloud or in an on-premises production environment, and enable new features as needs change, reducing potential rework and driving down the cost of innovation. Bring modern application development to the blockchain domain. Edgeware is an experimental blockchain for demonstrating the effectiveness of on-chain governance. Participants in the network vote, delegate, and fund each other to improve the network. Edgeware is an actively-governed smart contract blockchain that supports Ethereum (eWASM) smart contracts and integrates advanced and experimental features like proof-of-stake, sharding, on-chain identity, and cryptographic primitives for on-chain voting. Because Edgeware is actively governed, it can serve as a test-bed for both governance and core network upgrades. In this way, it complements existing networks. By distributing balances to Ethereum holders who time-lock their tokens, Edgeware can secure an early community of long-term oriented token holders and developers to participate in the network’s governance. Building a WASM-based smart contract platform. The Energy-Web Chain is an ethereum-based blockchain using a Proof-of-Authority consensus algorithm. 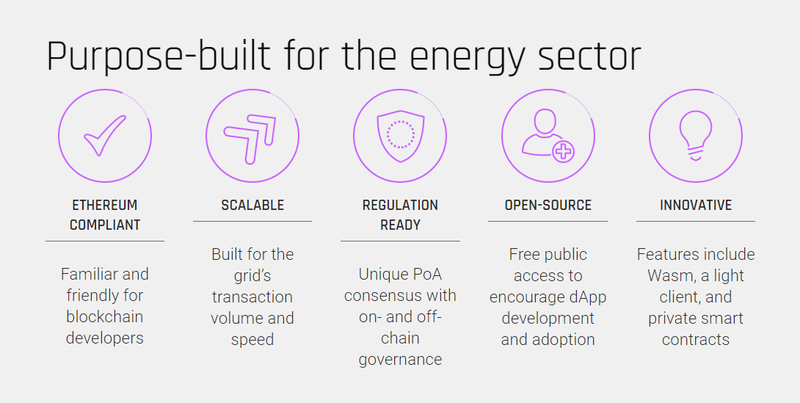 The Energy-Web Chain incorporates special features, which make it specifically tailored towards the energy sector with its strict regulations and special requirements stemming from the operation of critical infrastructure. A global non-profit foundation focused on accelerating blockchain technology in the energy sector. Energy market transformation with the help of Web3 tools. The Flyingcarpet Network provides decentralized machine learning models to extract data insights from Earth observation using blockchain-based incentives. Using Web3 tools to process Earth satellites data. iExec wants to decentralize the cloud computing market by building the future of the Internet infrastructure. They aim at providing to companies scalable, secure and easy access to the services, the data-sets and the computing resources they need. Our technology relies on the Ethereum smart contracts and allows for a virtual Cloud infrastructure that provides high-performance computing services on demand. They develop a sidechain, using parity-substrate, for Marketplace work deal transactions and PoCo consensus transactions, with node governance based on RLC token economy. Katallassos is based on the ACTUS standard. ACTUS codifies all major financial contracts such as Futures, Loans, Bonds, Exchanges and any combination thereof. Built by Trinkler Software AG a blockchain software development company founded by Reto Trinkler and based in Crypto Valley Zug, Switzerland. It was founded in April 2018 with a focus on building a toolkit of FinTech tools that can enable people to become their own economies and to actively participate in exchanges with one another. 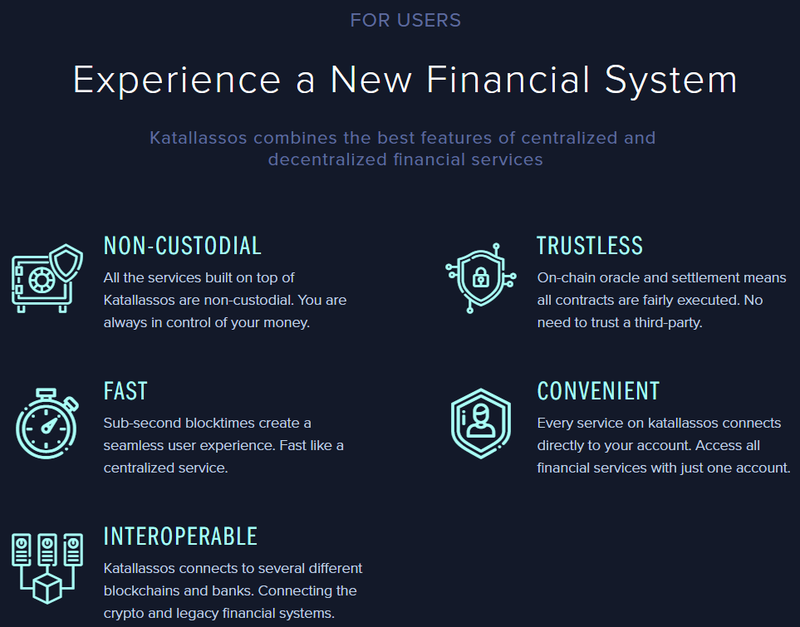 Katallassos aims to be a financial node in Polkadot’s relay chain system, focusing on building a standard framework for finance. They are going to build an identity trust market with Web3 tools. Their goal is to be the most successful IoT token by implementing a “Global IoT Standard”, the MXProtocol. They implement their IoT protocol with Web3 tools. 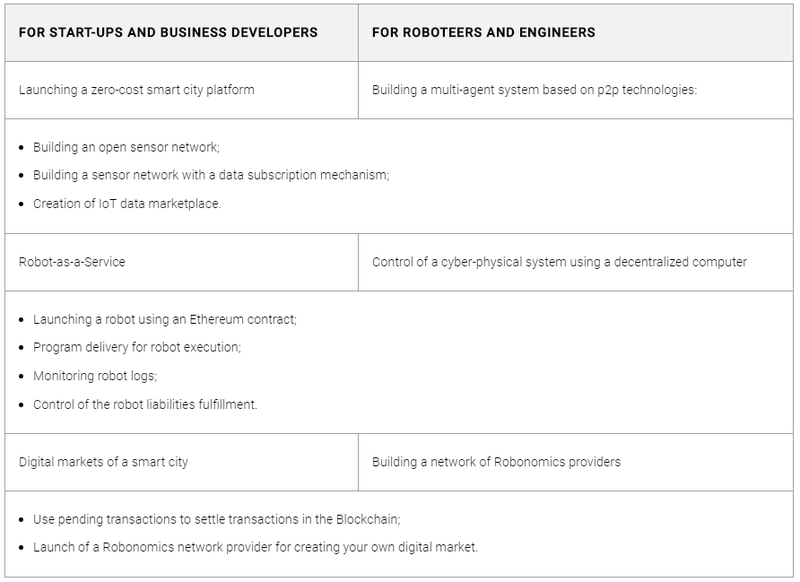 Ethereum network infrastructure for cyber-physical systems’ integration into Smart Cities and Industry 4.0. They consider a scheme that allows them to organize a network of robot economics using existing technologies. SRML-based Robonomics node Proof of Concept on Substrate. 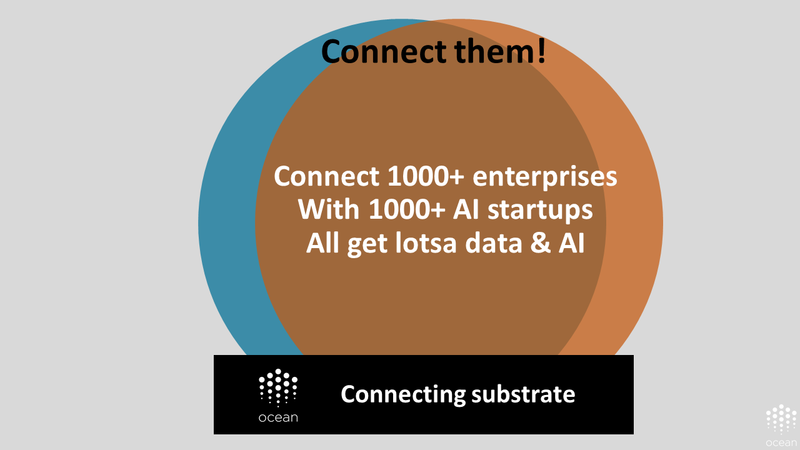 Ocean Protocol is an ecosystem for the data economy and associated services. It provides a tokenized service layer that exposes data, storage, computations and algorithms for consumption with a set of deterministic proofs on availability and integrity that serve as verifiable service agreements. There is staking on services to signal quality, reputation and ward against Sybil Attacks. They build a system that provides companies with access to AI and other data services. A new SRML-based Substrate node. Aragon is a project to empower freedom by creating tools for decentralized organizations to thrive. The Aragon Project was born to disintermediate the creation and maintenance of organizations. Everyone should have equal access to governance and collaboration, no matter of their race, gender or age. The project was originally started by Luis Cuende and Jorge Izquierdo in November 2016. Unstoppable organizations, DAOs with the help of Web3 tools. ChainSafe is building the next node implementation of the Polkadot Runtime Environment (PRE) using the Golang programing language. With OpenNetSys developers can create complex or robust products without having to learn Solidity or use confined systems like EVM or Web Assembly. Polkadot Substrate implementation in Go. POLKASCAN is part of WEB3SCAN and offers real-time multi-chain data. WEB3SCAN makes blockchain data accessible, understandable and suitable for business intelligence and advanced analytics, powering fact-based decision support. Make their explorers compatible with the tech that is being built using Substrate. Polkasource’s mission is to provide reliable, simple and secure blockchain gateway services. Polkawallet provides Cross-chain asset one-stop management, convenient staking and governance, the private key is self-owned. 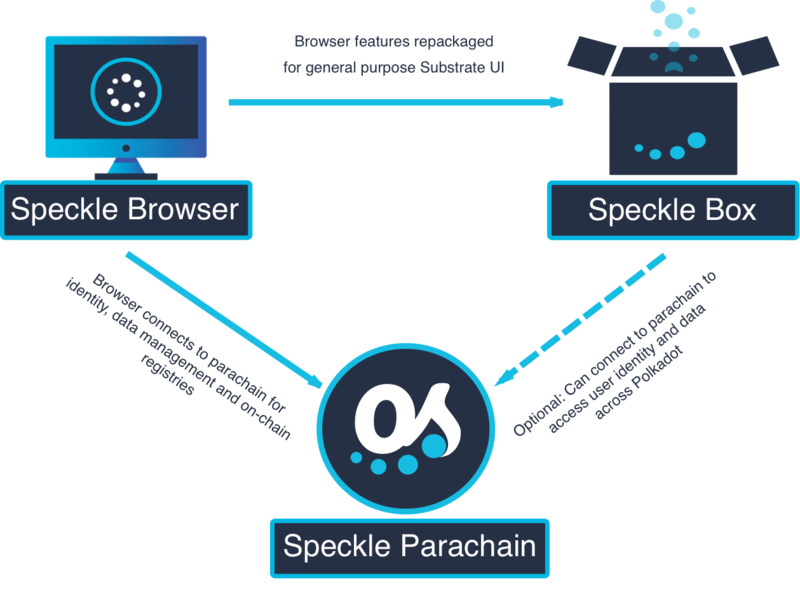 Speckle OS, intends to act as the universal user interface layer for the Polkadot network. Users will be able to discover a list of parachains that are connected to the Polkadot network, “subscribe” to parachains of interest and access their feature-set through one portal. They are going to build a framework to streamline the user experience for the complex “tree-like structure” of para chains that will be developed in version 2 of Polkadot. We, Asure Team, are happy to be a part of the Substrate community and would like to thank the Web3 Foundation Team, Parity Technologies and the broader community for their countless efforts on improving the ecosystem. We’d like to say huge thank you to Jack Platts for the initial list of the teams, that can be found here. It is great to see so much movement around the newest technologies in the crypto scene providing ever easier and mightier ways to develop connected decentralized networks. In case you are working with the Substrate framework, but you are not in the list, feel free to drop us an email. If you liked the information, clap to encourage us to do more. Asure provides a scalable blockchain network for decentralized social security. We lay the foundation for 10 billion people to have access to social security systems and achieve a great social impact where it is needed the most.